I get a lot of questions and inquiries about what equipment to use for bird photography. On this page I will list the items that I think would make a good starter kit for bird and nature photography for both the Canon and Nikon systems. For around $2500 you can get set up with a very good kit. I will try to keep the page current and hope that you will find this a useful resource. Below you will find a list of everything that is in my camera bag. These are the tools that I have chosen to carry taking into account a variety of factors. I hope you will find this list useful. If you happen to find some good information on this page or on other pages on my site I would really appreciate it if you would consider making your next equipment purchase through one of my affiliate links to B&H Photo Video. You’ll pay exactly the same, but I will get a small commission for the referral. It all helps! 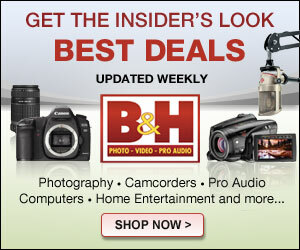 Simply click on the image of the product you are interested in and you will be linked to the B&H site. Cheers! When starting out you definitely do not need a top of the line or even mid-range body. What you need is a body that you can learn on. Perhaps the toughest decision here will be Canon or Nikon? I suggest that you go to a camera store and try both out and see which one feels more natural to you. Even the most entry level body will be plenty to learn on. I suggest spending no more than $600 on your first body. This could be an entry level model on sale or a used body. A great intro camera body for beginner nature photographers. This body features a 1.6 crop factor so is a great choice for bird photographers especially. Don't spend more than $600! You could also look for a used Canon 7D or 7D II. A great intro camera body for beginner nature photographers. This body features a 1.5 crop factor so is a great choice for bird photographers especially. Lenses are ultimately where you are going to invest your money. But they are expensive!! When getting in to photography the thought of spending upwards of $1000 on a lens seems crazy! But at the end of the day you have no choice. Sure you can play around with an inexpensive zoom lens and start to learn about photography. But in order to get even a little bit serious you need a decent lens. I think one of the most versatile lenses (best bang for buck) are the 300mm f/4's. They can get you started with birds and also act as a macro lens. Try to find one used to save some cash! You will probably also want a wide angle lens. If your camera came with a kit lens that is fine to get started with. Otherwise buy the best f/4 lens of at least 28mm (effective focal length) that you can afford (e.g. a used Canon 17-40 f/4). As time goes on and your budget allows you can also add a 1.4x teleconverter. Forget about 2x converters for now. For larger subjects, when photographing in a blind, for flight shots or when 500mm is simply too much lens this is a great lens to have. The lens is very light and its close focussing distance of 1.5m makes it a great tool for macro photography as well. Very comparable to the Canon 300mm this is an excellent and very versatile lens. Hopefully Nikon will throw VR in a future version and make it even better. Update. Now it has VR!! This is such a versatile lens. I recently tried one out and it is VERY sharp. It is a great value and a really good choice for anyone getting started in wildlife photography. Get the best one you can afford. But even a kit lens will do for now. When it comes to wildlife, and especially birds, it is often a case of the more focal length the better! As a result I find myself using the 1.4x converter very often with my 500mm lens. The converter features a multi layer lens coating and lens design that reduces flare and also creates an optimum color balance. As is the case with the Canon teleconverter this lens lets you get 1.4x closer to the subject and costs you one stop of light. A must have item for any bird photographer. Nature photographers generally prefer the warm tones of direct, low-angle sunlight over the use of artificial lighting provided by an external flash. Often however, direct low-angle sunlight is often simply unavailable. In these situations it pays to have an external flash unit to provide the much needed fill-light and to create a catch light in the subject’s eye. Both Canon and Nikon produce at least two models of external flashes. The higher cost units are designed to be more powerful and will also have the ability to control additional “slave’ flash units through a built-in wireless transmitter. At this stage a basic flash unit is all you need. Buy the mid range unit from Canon or Nikon. You can try to find one used for around $200. I use the 430 EX flash as a backup option to the 580 EX II. It's always good to have a backup! I actually own eight 430EX's because I use them for multi-flash hummingbird work and also for fill flash in difficult lighting situations. If I shot Nikon these would be used for backup / multi-flash hummingbird work. Once nature photographers have invested in high quality telephoto prime lenses they should immediately begin use a sturdy tripod. After all, it does not make sense to spend thousands of dollars on a lens that is capable of razor sharp images and then be unable to achieve them because you are not using a tripod! Tripods are heavy and cumbersome and most nature photographers are reluctant to use them at first. The difference in image quality however once you commit to using a tripod is well worth the burden. Whatever tripod you choose, make absolutely sure that it can support the weight of your longest lens, tele-converters, flash and camera body. If you think that you may upgrade to a bigger and heavier lens in the future you may want to factor this into your purchasing decision. You should also make sure that the tripod will extend up to your eye height without any extension post. What you need here is a good solid base and a decent ball head. If you go too cheap the tripod will be more of a hinderance than a help. This is a nice less expensive alternative to the Gitzos. It's not as good. But it is 1/3 the price. A great started tripod! Make sure that for telephoto shooting you have a tripod that gets up to eye height without a center column. This is crucial! Great value for the money. If you need a solid ball head give this one a look! This little ballhead is amazing. For about $100 you get a super lightweight ballhead that is capable of supporting an SLR and light lens. If I am going hiking and am taking landscape images this is the head I bring. These plates allow me to connect my various lenses to either of my quick release style tripod heads. Be sure to select the appropriate size for your lens / camera. With all of this expensive and heavy gear to lug around you will definitely need some kind of backpack. There is probably no perfect case for all occasions. You may choose a rolling bag for flights and a backpack for in the field use. Just make sure that whatever bag you buy will fit your biggest lens and all of the stuff taht you will need in the field. Choose a model that will fit all of your gear + a bit more. Trust me you will buy more stuff!! Feel free to look for a used model. These PowerEx Imedion 2400mAh NiMH batteries can be stored for an extended period of time without substantial loss of power. They are rechargeable up to 1000 times and have a 2400mAh ultra high capacity rating. The PowerEx MH-C801D battery charger features eight independent circuits that charge 1 to 8 AA or AAA NiHM or NiCD batteries in any combination. Embedded with a high-rate battery conditioner, this unit will charge, deep-discharge and recharge batteries automatically for maximum rejuvenation. A new eight cell (0.001V resolution) microprocessor will charge batteries to their maximum capacity without overcharging or undercharging, providing maximum battery longevity. Light rays which are reflected by any surface become polarised and polarising filters are used to select which light rays enter your camara lens. Polarising filters allow you to remove unwanted reflections from non-metallic surfaces such as water, glass etc. They also enable colors to become more saturated and appear clearer, with better contrast. This effect is often used to increase the contrast and saturation in blue skies and white clouds. Note that good quality polarising filters do not affect the overall color balance of a shot. The Sandisk Extreme series of cards have never let me down. They write as fast as I ever need and I have never lost a single file while using them. I also use some of the Lexar Professional Series cards. Personally I prefer the National Geographic one.